Notepads: Notepads that consist of recycled paper are now available in most stationary product shops. Binders, Folders and Files: One can avail this system of filing and archiving in recycled versions through shops which undergo binding of books, records etc. Stapler: The eco stapler uses no metal. This stapler can clip up to three pages together by a simple cutting and folding action that happens as you clip. This is becoming popular and is available at most stationary shops. Writing Products: Nowadays, pens made from recycled paper products and pencils made from recycled plastic cups or plastic cases are commonly available. 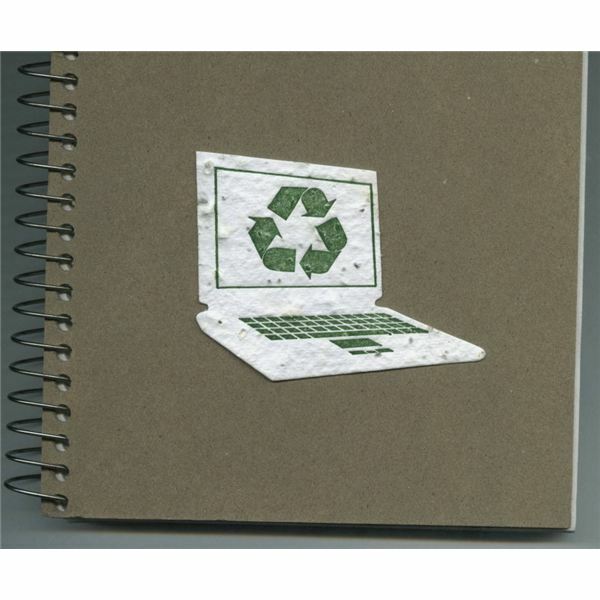 Paper: One can find recycled paper and its finished products in all stationary supplying stores. Paper is one of the largest items that is being recycled today. Pencil Holders: Pencil holders are now available in wide and attractive ranges of colors. These don’t only provide a desirable choice but also gives a cozy look to the office that adds a friendly look to the office atmosphere. The best way to make one’s home, room or office stationary green is by recycling. It is the simplest way to improvise one’s office supplies. Primarily you need a good place to collect and store the products that can be recycled and put them in proper order for a regular clean up. A regular office goes through a very good consumption of paper that must be on the top list for recycling. Ensure all recyclable stationary like bottles, cans, files, folders, ink cartridges and toner supplies etc. are collected appropriately for future recycling. Ensure appropriate collection and storage of these recyclable products is available. Make use of cardboard boxes for collecting and storing non-heavy recyclable materials and recyclable plastic bins to store the heavy materials. A wide number of companies exist in various cities that arrange to collect recyclable products within their vicinity. It is advisable to contact one such company and ask them to help you dump your paper and plastic waste appropriately. Seek the help of the local city council for information about such companies. Many products used in offices are easily thrown away. This includes plastic stationary. Instead of using these, promote usage of un-disposable products like pens whose ink can be refilled and reused. Join the ‘green’ bandwagon and spread the word around. This can be done by sending out regular mailers to employees giving them tips on how this aim can be achieved. Stick posters on the cafeteria notice boards. The above-mentioned steps to green your office stationary are very simple and essential due to the increase in side effects of global warming. It is the responsibility of every individual to green his or her environment and live in a healthy green earth today. Start small, from your house and office and spread the message around.